It was only a matter of time for MuleSoft, a pioneer in the infrastructure-as-a-service space, to be acquired. Data integration has always ranked high among the most persistent IT system problem areas, no matter what the use case. It’s just really is hard to do, and even if you do it well, unexpected problems always seem to pop up. Salesforce apparently has had enough of that and has come up with a clever solution for its customers: starting up its own integration cloud. It put this plan into action by acquiring MuleSoft on March 20 for a total estimated enterprise value of $6.5 billion. eWEEK was asking around as to whether there was a collective cheer heard around the IT world by network and storage administrators. There might have been one. It was only a matter of time for San Francisco-based MuleSoft, a pioneer in the infrastructure-as-a-service space, to be acquired. The 12-year-old company provides one of the world’s most respected platforms (Anypoint) for building application networks that connect enterprise apps, data and devices, across any cloud and on-premise. Additional key players in this market include Dell Boomi, Microsoft, Dimension Data, Oracle, SnapLogic, Jitterbit, Apple’s Lattice.io and others. 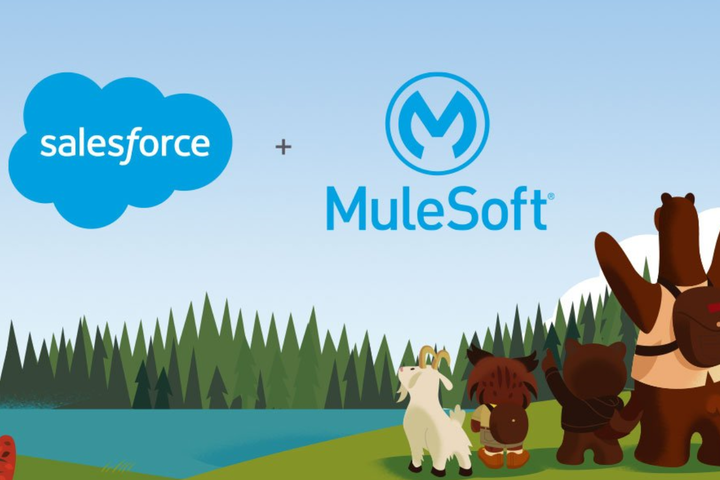 MuleSoft will provide the engine for the new Salesforce Integration Cloud, which will enable enterprises to identify and retrieve any type of data–regardless of where it is stored–to a user. It is this speed and ease of use that enables what the industry calls good CX and UX–effecient and pleasant customer experiences drawing on personalized content along the way. More than 1,200 customers, including Coca-Cola, Barclays, Unilever and Mount Sinai, use MuleSoft to change and innovate faster, deliver differentiated customer experiences and increase operational efficiency. Jitterbit CEO George Gallegos, a competitor in the integration market, told eWEEK in a media advisory that “integration is the battleground for competitive advantage in the enterprise space and also between software companies like Salesforce, Oracle, SAP and Microsoft. “We believe that every major company and software provider will now need to reassess their integration strategy to compete in the light of the Salesforce news. The big question is: Which types of integration offerings will be in the highest demand? Will it be on-prem offerings, or will it be cloud-based offerings from platform-agnostic companies like ours?” Gallegos said. Salesforce is the world’s largest CRM (customer-relationship management) company with some 220,000 customers and is among the fastest-growing enterprise software providers in the world. Under the terms of the transaction, the acquisition represents a per-share price for MuleSoft common shares of $44.89 based on the closing price of Salesforce common stock on March 19. The per share price represents a 36 percent premium over MuleSoft’s closing share price on that day. The transaction is expected to close in the second quarter of Salesforce’s fiscal year 2019, ending July 31.